Learn how you can chart your menstrual cycle to improve your fertility. Along with receiving your FREE copy of the Fertility Charting eBook, you will be signed up for monthly updates delivered straight to your inbox. 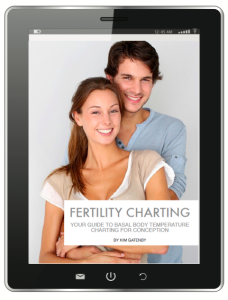 BBT Charting to Improve Your Fertility. Contains free Basal Body Temperature charts in Celsius AND Fahrenheit. Step by step instructions on how to fill in your charts. Tips on what irregularities in your chart actually mean.